Home / What is Torc Blast Cleaning? Torc blast cleaning technology, up until a few years ago, was the safe way to clean and strip unwanted coatings from stone and masonry surfaces. 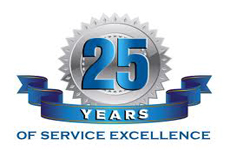 APT 25 years experience of all blast cleaning processes. In in the last 10 years blast cleaning has developed to supersed many older blast cleaning and mobile blast cleaning services such as shot blasting , sand blasting and torc cleaning with more effective precision soda blast cleaning services systems . How does torc blast cleaning and other blast cleaning systems work ? The TORC system was the upgraded version of old the JOS cleaning system. Though recently the enhanced torc system now uses a vortex swirling blast head used to deliver the blast media with a swirling effect . Compared with the new vortex II spinning blast head from apt which uses the precision of our soda blast cleaning system with combined precise mixture of lower air pressures, water and softer soda blast media to deliver effective safe stone cleaning, brick cleaning and even safe limestone cleaning . The use of APT’s new precision soda blast precision blast clean system can be used wet or dry to deliver precise amounts of blast media accurately the new through a vortex II blast spinning head. The APT highly complex system allows us to work down to blast pressures of just 1/2 bar ideal for cleaning sensitive or soft friable surfaces. Conservation architects are now choosing this as their preferred choice with it comes to historical restoration projects. NB: Most alternative blast systems such as Torc and small shot blasting units are limited to using only the Calcite 130 blast media which has a hardness of around 4.0 ( soda being 2,4 simular to talcum powder ) as the apparatus will not facilitate the use of eco soda blast media. We do not recommend this to be used to clean limestone. The soda blast system allows us to use calcium bicarbonate (baking soda) to even safely clean limestone and other surfaces such as fibre glass marble and terrazzo without damage. Soda blast cleaning is not only extremely safe, quick to carry out and cost-effective but is environmentally friendly. Which is why this non-destructive cleaning process is fast becoming the preferred method for cleaning and stripping unwanted pollutants and contaminates from an array of surfaces such as timber, metals, structural concrete and all stone and masonry. How does soda blasting work? It’s very simple. Using specially formulated granules of natural bicarbonate of soda and blasts of controlled volumes of compressed air. The bicarbonate particles explode or crush on contact with the surface. This non abrasive action allows it to lift away any contaminates off a surface. It can quickly and safely remove years of built up of pollutants, residues and unwanted coatings from virtually any surface. Soda blast cleaning can be used for both interior and exterior building cleaning, historical buildings and in industrial engineering to clean components without damage or water. To find out more about the benefits of how apt – soda blast cleaning – can help you achieve the best safe blast cleaning results http://www.aptsodablasting.co.uk/what-is-soda-blasting/”>click here.